HERMISTON, OR – Realizing the need for primary care in western Umatilla and eastern Morrow County, Good Shepherd Health Care System (GSHCS) developed a plan to increase access to primary care services. Today, that dream has become a reality as GSHCS officially opened the Good Shepherd Family Health Center (GSFHC) on April 2, 2019. This new clinic will focus on serving the primary care needs of the community – men, women, and children ages five months and up. Acknowledging the importance of primary care services helped propel the decision to open this new center. According to the most recent County Health Rankings & Roadmaps report released by the Robert Wood Johnson Foundation in 2019 from US Census data collected in 2016, Umatilla County has a ratio of one primary care provider for every 2,180 residents and is trending worse. The significant impact a primary care provider can have on a community cannot be underscored enough. A recent report issued by Jama Internal Medicine in February 2019 states that adding 10 primary care physicians per 100,000 populations was associated with a 51.5-day increase in life expectancy for a given community – a statistic that all Umatilla and Morrow County residents can appreciate. “In the past, community members have struggled with being able to find and establish a relationship with a primary care provider locally and have sought care in other communities. Today, that all changes. I would like to encourage you to experience the advantage of receiving your healthcare locally, in a place where your face and name are recognized, and by providers who care about this community as much as you do,” expressed Nick Bejarano, GSHCS Director of Marketing and Communications. 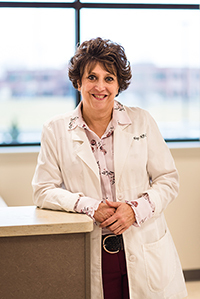 The GSFHC opened its doors with one full-time provider, veteran Advanced Registered Nurse Practitioner, Angie Hays. As a 22-year resident of this community, Ms. Hays is excited, “I look forward to caring for our communities’ primary care needs.” Services include annual physicals and examinations, sick visits, monitoring and caring for chronic and lifestyle-related conditions, and working with specialists when the need arises. GSHCS is still actively recruiting additional providers to join the new practice – helping to bolster the physician to patient ratio and improve the health outcomes of the community. The Good Shepherd Family Health Center is welcoming new patients and is located at the Good Shepherd Medical Plaza, 620 NW 11th St., Suite 103. To schedule an appointment please call 541.667.3830. For a more complete listing of services, visit http://www.gshealth.org/good-shepherd-medical-group/family-health-center.